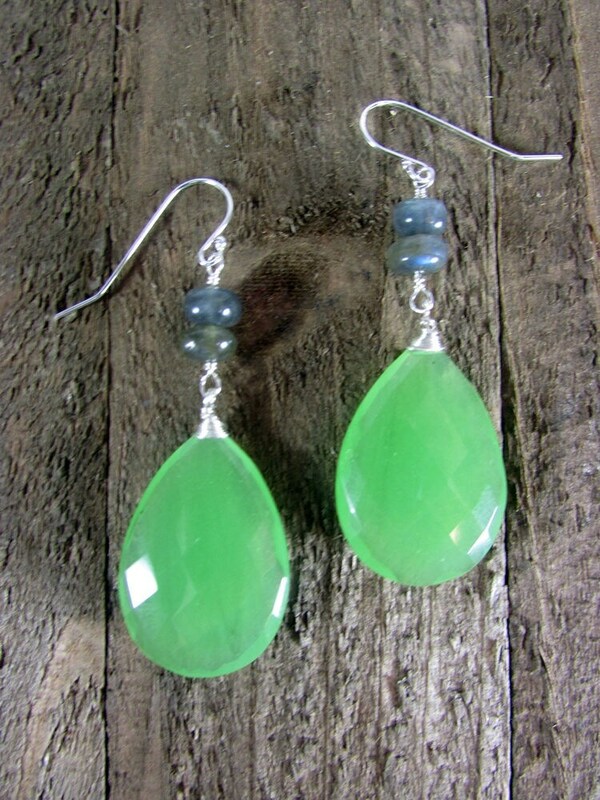 These earrings are long at 2 inches and 2 1/2 with ear wire. 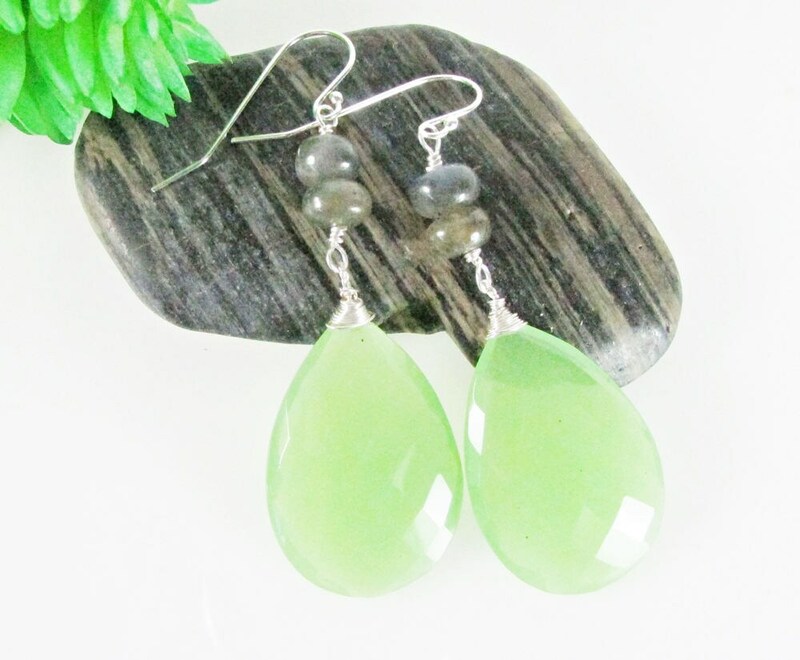 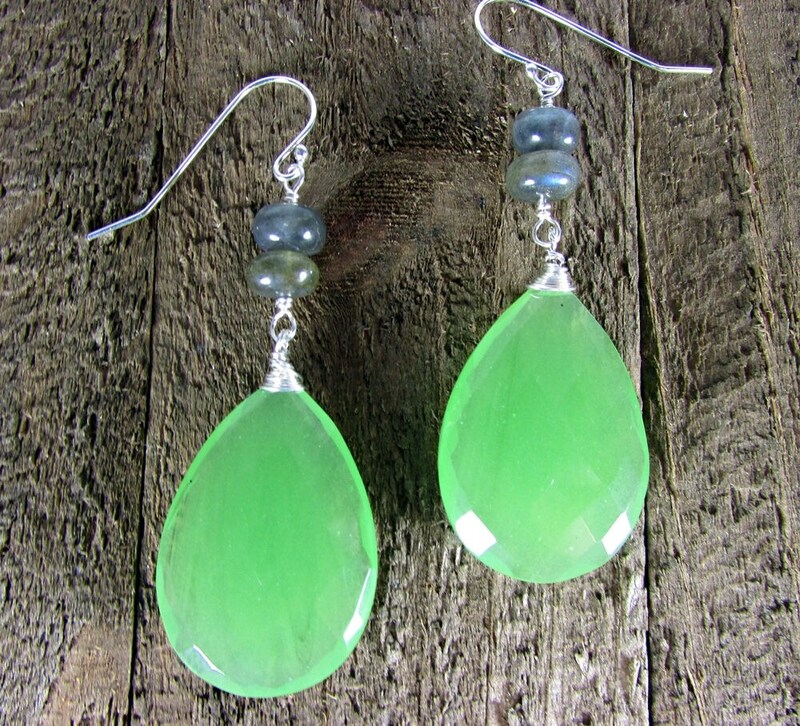 The green chalcedony is light shade of green wire wrapped with 8mm rondel Labradorite gemstones and finished with a sterling silver ear wires. 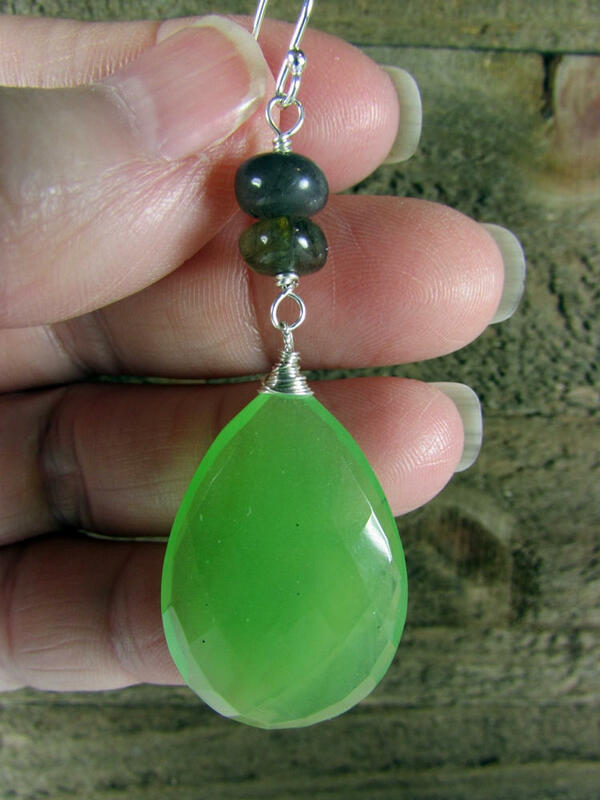 The gemstone is 20mm x 28mm.